Sailfish, marlin, dorado and Yellowfin tuna are the most common species in Guatemala. But make no mistake, this is the best sailfishing spot in the world! On average you can experience 15 to 20 bites a day. And, during the peak season, from October through June, 40 or more bites a day is not uncommon. 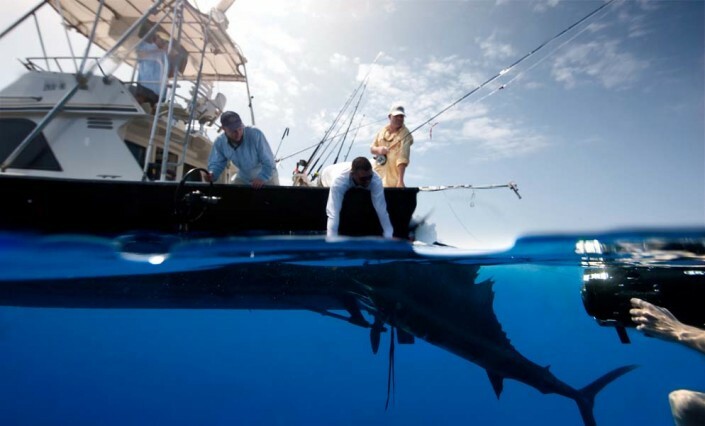 The top boats release over 2,000 sailfish a year. 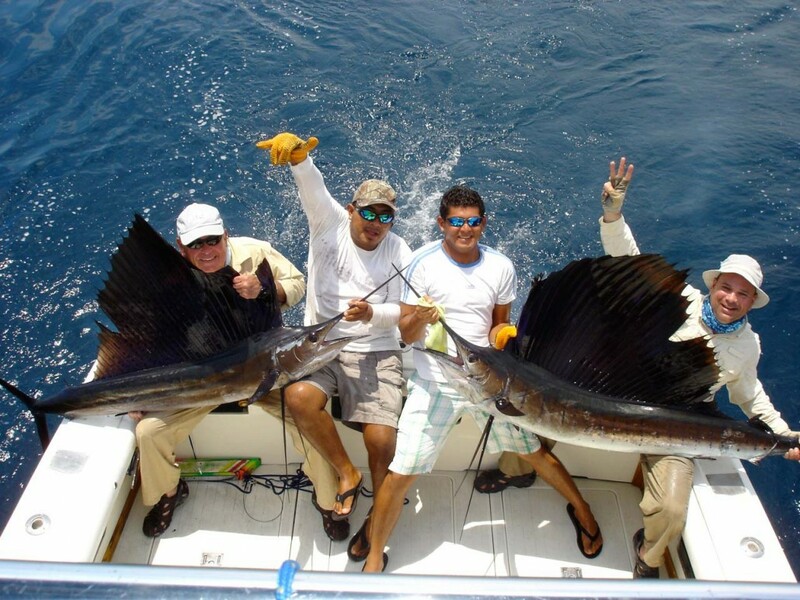 On March 11, 2006 the daily release record was achieved with an unbelievable 124 sailfish released. 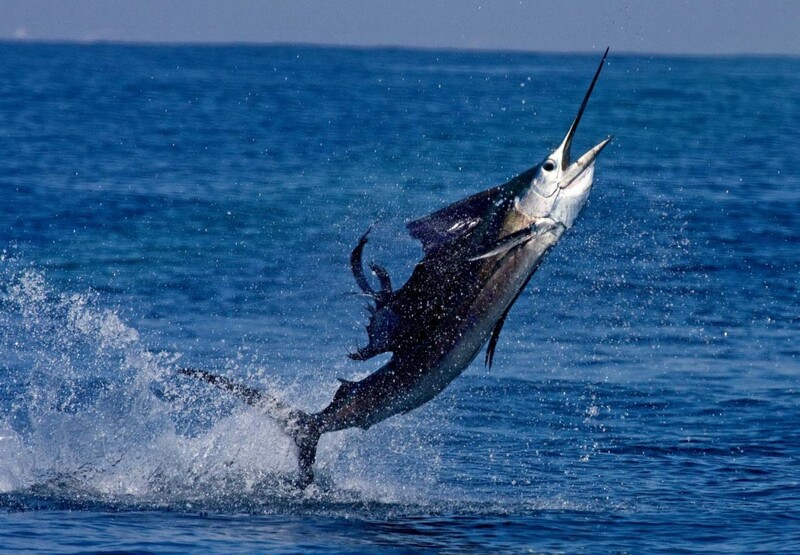 These Pacific sailfish average 90 to 100 pounds, but sailfish over 125 pounds are common. 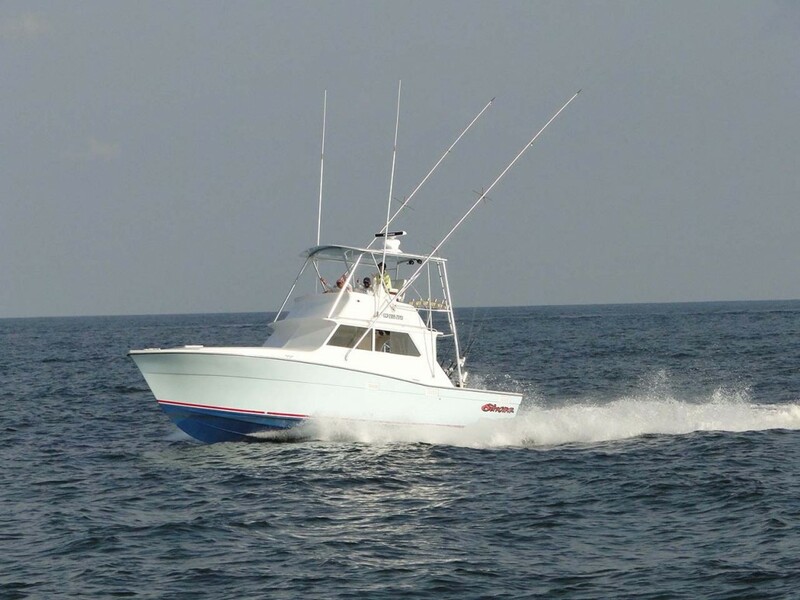 Pacific Fins’ fleet features the newest, fastest and most luxurious sportfishing yachts in Guatemala. Every boat is meticulously maintained for your comfort and safety. 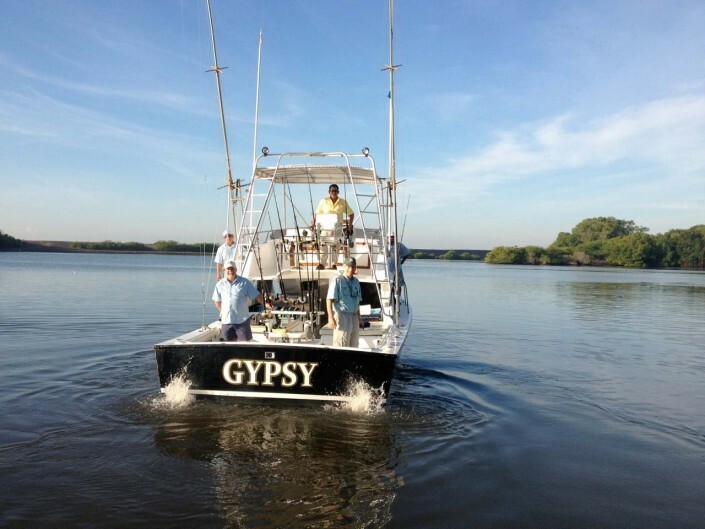 All of their boats are equipped with top of the line gear and tackle and the crews are the best in the world, with each boat featuring an experienced Captain and two excellent mates. Marlin fishing in Guatemala in recent times has been exceptional and is clearly some of the best in the world. Blues, Stripes and Blacks are all caught in nearby waters, with Blue marlin in the 300 to 600 pound range being the most common. In recent years it has not been uncommon for the best captains to raise 4 or more marlin in a day. 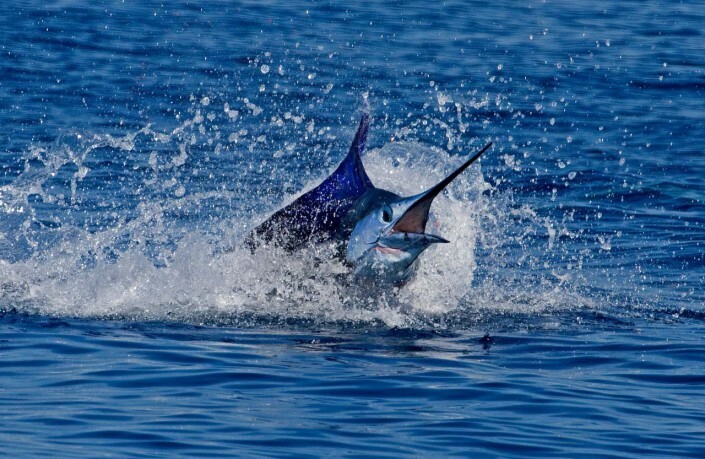 Marlin can be caught year round in Guatemala but the largest concentrations seem to occur from September through December. Both bait fishing and fly-fishing-for-sailfish is available. When targeting billfish they use artificial teasers and naked rigged natural bait such as ballyhoo. High quality Shimano 20 to 50 pound class stand-up tackle is used. Bait and switch tactics provide anglers with the most exciting fishing experience possible. Guatemala is a world leader in conservation. All bait is rigged with circle hooks and of course all billfishing is Catch and Release Only insuring this fishing “hot spot” remains the angler’s choice destination for many years to come. 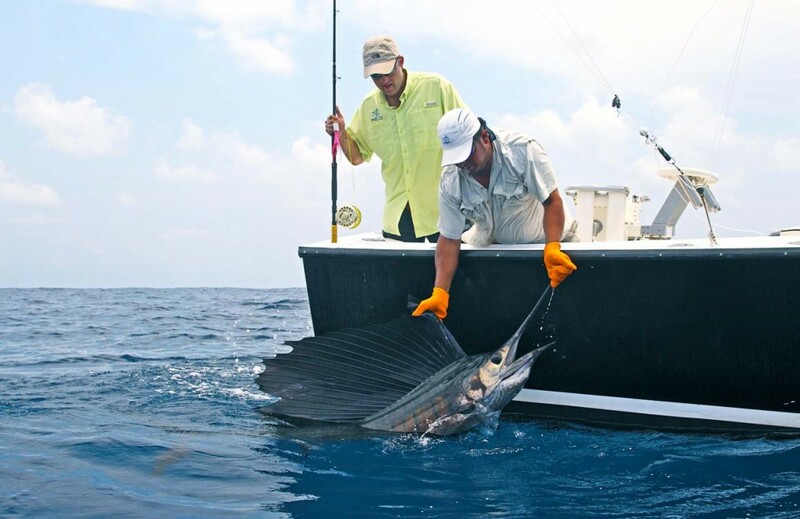 If you prefer to fly-fish-for-sailfish, you could not have come to a better place. Multiple opportunities will provide incredible action for the novice and expert alike. As a novice you will truly enjoy the easy style in which the Captains and mates instruct you and as an expert, there is no better place in the world to enjoy your fly fishing skills. 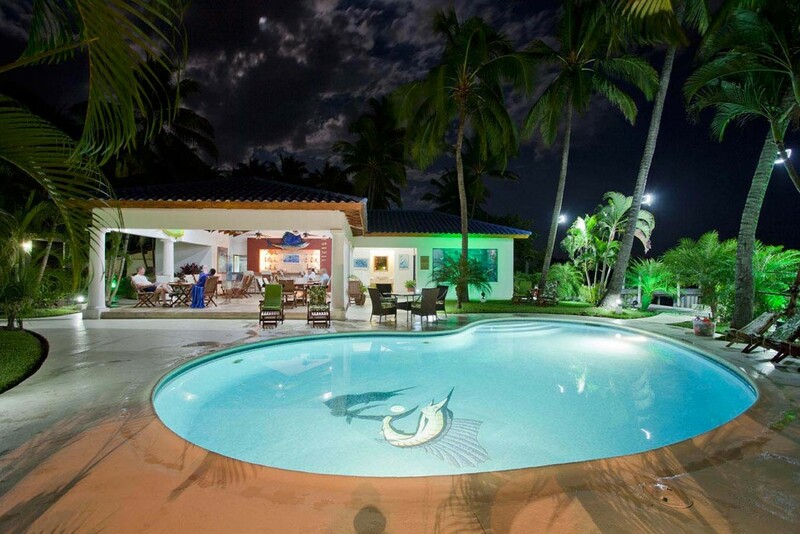 Pacific Fins is really the only True Luxury Fishing Resort in Guatemala. Even though they are well aware you are here to fish, they also focus attention to the quality of service offered by the English-speaking staff; the comfort and style of the Villas and Suites; the gourmet cuisine prepared by the local Chefs; and the overall ambiance of the Resort they have created for your enjoyment. The four beautiful air-conditioned Villas offer two bedrooms with two queen beds, two bathrooms and a very comfortable central lounge area featuring a flat screen TV with SKY Satellite Service. Sliding glass doors open on to a sun deck overlooking the beautifully landscaped tropical grounds, pool and marina. Aside from the Villas, for those requiring a little bit more privacy, they also offer two Suite rooms each with 2 queen beds and a bathroom. Enjoy breakfasts by the pool consisting of fresh fruit, cereal, pancakes, eggs cooked to order, fresh roasted Guatemalan coffee and freshly squeezed orange or pineapple juice. After an exiting day on the water there is no better place to share the stories of the day than in the bar. Your favorite drink will be prepared while you relax, be it at the beautiful pool or within the bar area. Drinks are all-inclusive, so do enjoy the rest of your afternoon! For dinner the restaurant will offer you a Gourmet a-la-carte Menu prepared by local Chefs. Fresh seafood with the local seasonings are a must, but should you care for a prime steak, they will also impress you with select cuts. Appetizers, Entrees and Desserts are all part of your dining experience. Feel free to ask for seconds if you so desire. Beer, wine, and spirits included while at the Resort – OPEN BAR! Contact Fishabout for Availability and Booking.